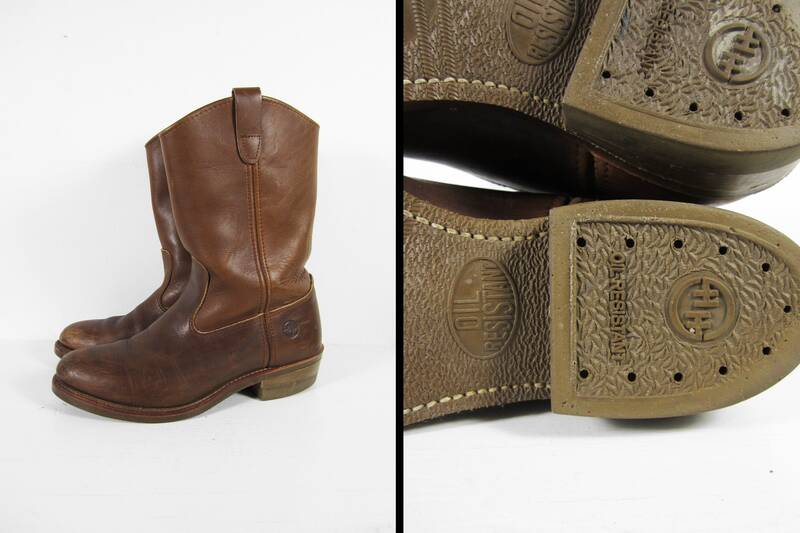 These Double H brand pecos boots are in excellent condition and were made in the USA. Features include leather boot pulls and oil resistant soles. These boots are labeled as a men's size 9 EE but please compare the measurements below to your favorite boots to ensure a proper fit.